Another Friday, thinking to write something for my blog ;) I think I should have kept a track of my Friday bloging or changes I made on Friday :D. Well, this post is not going to be about Friday but it is about our Switzerland itinerary, experience with TGV etc. Might have noticed there are lots of posts by Pamela in recent time – wish she would have done before from our other trips also. It is GREAT that she is so active on this now a days. 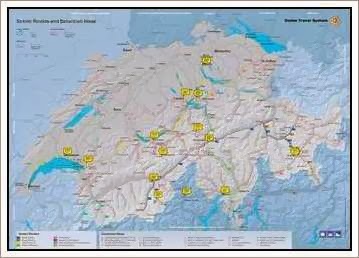 Firstly, a PDF map pointing all the places we been in Switzerland. Thanks to Pamela again for her idea. Secondly, while traveling for more then 3 days we carry Laptop - it serves to down-load the pictures as cards get full within 1-2 consecutive days of visit. 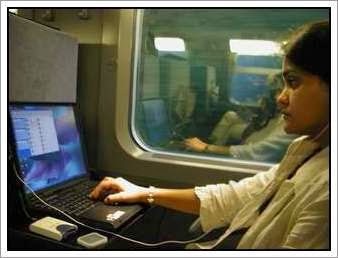 While coming back to Paris via TGV one of the fastest train of Europe I found in the first class they have AC 220V power socket to connect laptop.It helps in doing pending work or seeing photos like us or watch film on DVD without being worried on recharging battery. It was great as my current laptop battery does not last more than 15-20 minutes. So here is the picture while Pamela down-loading photos from card. Photos from Golden-Pass train which we took that morning. In the 1st compartment of TGV another difference is seat size with enough leg room as they only have 3 seats per row compared to 4 in 2nd class. Lastly, though I like to have all the latest and the greatest gizmo but normally I run quite behind in reality compared to others. The biggest reason is of course financial and other is it cost a lot in Europe with the ugly VAT system. My laptop is an old Pentium-III, digital camera is a 3 mega pixel, my mobile phone is 4 years old. Hmm....for mobile phone although is not really true as I lost the new one within 4 months of use. I hope to upgrade my camera to a new Panasonic LUMIX DMC-LX2 as soon as it is released and gets real good review from other users, not those blur image its current sibling has. I hope to carry it all the time compared to my current bulky one. Get an Apple MacBook in black when apple removes the current $200 premium – hope apple does that soon and before X-mas. A cell phone that can sync with I-Sync and Outlook something from Sony Ericson k750 which has all that but no rush let the price drop. Although trip to Switzerland is over but yet we can’t stop writing about it. If you are one of those few regular visitors to our blog you must be knowing by now how much we liked our one week stay. And must be wondering what more can be there to write about. Yes, there are always lot to write about Switzerland when we are comparing with Paris and when one is seeing through Indian eyes. Where all the pavements of the side walk are made of granite stone, all routes being well-marked, not only that you can always be sure to find toilet paper in any remote restroom and moreover clean restroom. 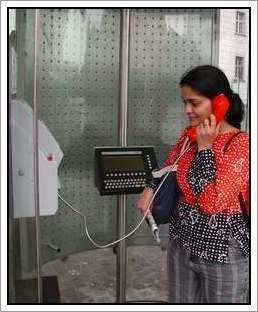 Last but not least even public telephones are equipped with electronic phone book which can be hardly seen in Paris. Coming to the point what made me write this post is ‘Lassi’. Yes, you heard it right. You must be wondering whatz there to say about Lassi and especially it might be nothing for Indians staying at UK. But to our outmost surprise we noticed this product on the shelf in one of the small ‘all-in-one’ store in Swiss-railway station. Later, we found the same product in big store even which can be hardly seen in Paris rather I should say can’t be seen at all. According to old tradition, lassi is served at the end of the main meal or taken at lunch time because that's when appetite and digestion are at their peak. Lassi is meant to help digestion and to be served at room temperature, not chilled but as cold beverage usually taken in summer season. 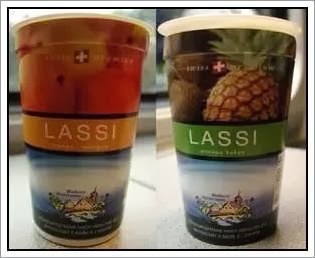 So, at the sight of lassi that too with Indian flavor we were so thrilled that almost every day we had it during our stay at Switzerland. Our trip to Switzerland has ended after all those C.B.G (châteaux, bateaux and gateaux) trips around Europe but indeed it was a different experience altogether. It is all about the greenery, mountain streams rushing along, water falls, snow clad mountains, sounds of cow-bells tickling on the alpine meadows. I am not sure if every one is happy with their first trip to a new place or not. But, I am always very happy and excited to go to new places. I always live with some desire or feeling that was not filled in that very trip. It keeps me motivated to go back to the same place once again. May be it is my way of exploring and traveling. The beauties of all those places we have been in Switzerland are so vast that I think - “I can explore them for years to come if I am there all the time”. But I know that is not going to happen (soon for sure!). Here are few things that one should not miss while traveling in Switzerland – starting with what we missed. Ask for window seat if your train needs reservation. Hiking Pole – if you are hiking and that includes downhill. Make sure your watch is giving correct and precise time - the train/bus leaves platform on dot. To demonstrate this you just wait on a platform you will find the train starts moving as soon as the time posted and time on the big clock on the platform matches.A good pair of hiking shoes if you plan to walk a lot. Warm clothes even in summer for going to the top of the mountains. Good sunglass – Normal sunglass only stops little compared to those special glacier sunglass, you need them to save your eyes from the reflected sunlight from glacier at high altitude. Polaroid filter -for your camera if you happen to be lucky on the mountain top with clear blue sky. Normally, I and Santanu don't talk to each other on bus, train, flight or whatsoever as we are normally lost in our own world and both try to respect each others silence. We have books, newspaper, ipod for that time but this particular evening we happened to talk so much while returning to Zurich from Luzern. One of the reason maybe that by now we are kind of used to watching beautiful sceneries from train as it runs along lakes, rivers and creaking sometimes as it passes by the running hills unfolding before us. Dumbfounded to hear that; we had been talking non stop for a while now. It was so silly of us that we did fail to notice none of our co-passengers in that compartment were speaking. We traveled almost many schanghain countries but never happen to come across like that. Being unaware that even a compartment like this can exist we could not express our feelings to each other (Hain! aisaa bhi hota hai) till we reached Zurich and got out of that train. We were not hurt by her comments but it might have been better and less humiliation if she warned us before, not waiting for the very last moment. 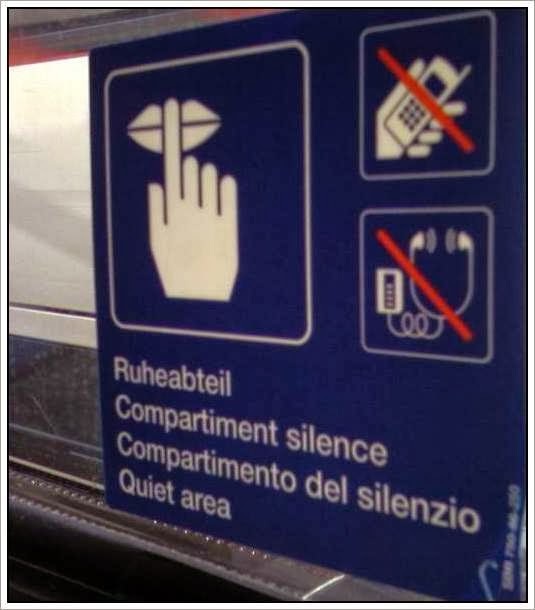 YES, it was another new experience with Swiss Railway, next day while traveling on a normal compartment Santanu silently sneaked into one of this special compartment to get this picture. Today is the last day of our trip. We had already reserved for boarding another panoramic train “Golden Express" which will take us to Lausanne where we started our journey one week ago. By now I was so used to that after waking up my first thing was to peer out the window to check weather. And like every time it was bright sunny morning at our last day of vacation. 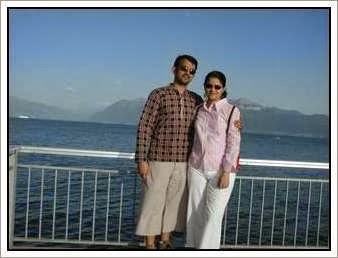 After having heavy breakfast we headed towards railway station of Interlaken with our luggage. From our previous experience with glacier express where we missed the window seats we made sure that get the same while booking in advance.This special train is broken into two main parts. 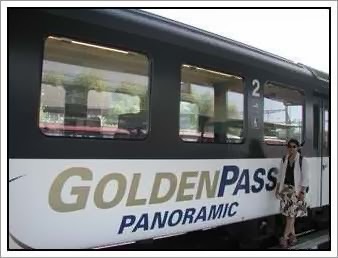 In the first part it is almost like any other Swiss railway train but it is only written “Golden Pass” on the outside.And there are no special panoramic windows; which is a blessing for the camera. Traveling by train to Zweisimmen on the Golden Pass BSL train, offers panoramic views of the Swiss Alps, mountain slopes and valleys with picturesque chalets which is something different to experience. Train snakes through the Simme Valley passing through the rural Simmertal where one can see Swiss cows grazing on the Alpine meadows. Listening to the distant sound of cowbells tickling on the pastures is very amusing. 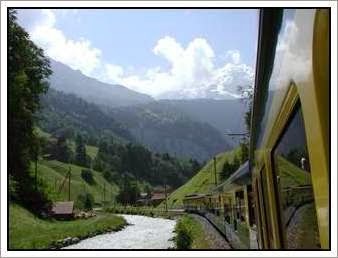 At Zweisimmen, we changed to the Golden Pass MOB Train to Montreux. This is the only line in Switzerland that offers VIP seat at the front of the train giving a river's eye view. This ultra-modern train gives the traveler the unique sensation of being totally at one with the grandeur of the unfolding landscape. While passing through the region of “Châteaux d'Oex” we saw beautiful Swiss villages for one more time. There are lots of hiking or other outdoor activities around this region. Admiring the view of Lake Geneva on one hand and the sprawling vineyards alongside on other hand we descended to Montreux. We enjoyed magnificent views of alpine beauty on our unforgettable rail journey of Switzerland. We came to Montreux from Lausanne after keeping our luggage. We took a relaxing promenade on lakeshore to go to Chateau de Chillon. This 13th century castle has lots of history to tell in itself. Lord Byron's famous poem “The Prisoner of Chillon” was set on prison which is at the cellar of the castle. We spent almost 2 hours there and at the same time it was raining heavily outside. It meant to be a vacation within vacation today. As we did not have to catch any train neither any bus nor get up early for any fixed destination. Relaxingly, we had our self-made breakfast and then headed towards railway station for renting a cycle to bike. At first, we went towards the city center of Interlaken where there is a big Casino and park. From there we biked all the way towards the lake Brienz. Weather was perfect although bit hot but being on lake side it was pleasant. Major part along the lake was shady which was a big relief. We took some time off at lake shore in shady place and listen to the Indian classical instrumental on I-Pod which was really relaxing - the sounds of water waves along with the serenity of the lake. Words are lacking to describe how we felt. A perfect escape from the life we know, a strange question was- why we need to go away so far from home to find peace. Anywayz, we came back to the hotel for a very late lunch and Santanu wanted to take siesta. And you know, it suddenly started raining like cats and dog; we felt how lucky we must be to enjoy yesterday at top of Europe. It was raining sans cease even after 3hrs when we had to ride in rain to return the bikes. Pff..... :( It just stopped after we returned the same. 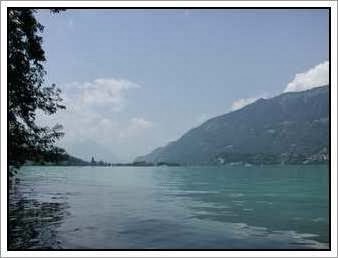 Today we woke up very early as to move towards our next destination Interlaken (means between two lakes). I immediately peered out the window to check out what the weather was like. I was very concerned about our trip to Mt. 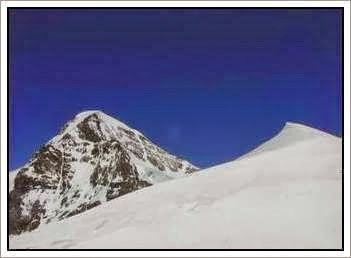 Jungfrau. But to me it seems to be a perfect day. Santanu was bit hesitant as it was cloudy & gloomy all the way while coming down from Mt. Rigi. He rather mentioned it appeared to be nice down at the bottom of the mountain, nothing was promised way up top. Since, the journey to Interlaken takes around 3 hours by train so we left Zurich around 7AM leaving our host still sleeping. Anywayz, at Interlaken we already had a booking for an apartment hotel which was cheap, cozy with all kitchen amenities in the room; that means we can cook our own food if we want. So, we first went to our apartment-hotel to keep our luggage .Then headed to Mount Jungfrau- top of Europe. In Switzerland prices are always astronomical so ticket to Jungfrau was no exception. Like always we carried “take-away” lunch before boarding the train. After reaching Lauterbrunnen from Interlaken we were to change and take cog-wheel train to reach to Kleine-Scheidegg a tiny, isolated resort surrounded by vertiginous scenery. In a short time, as we ascended, the villages below were barely visible. The presence of snow gradually increased, while the temperature gradually decreased. From Kleine-Scheidegg we changed to the Jungfraubahn, another train, which tunnels straight into the rock of the Eiger. Stopping briefly for panoramic picture; looking at glacier from a rock window to say in simple words. This ride up is by world's longest existing cog-rail and quite extraordinary. I assume it is among the most fascinating scenery in the world we have ever seen. There were several things to visit like ice palace and experience the breathtaking panoramic view from the Sphinx Observation Terrace overlooking the Aletsch Glacier (Europe's longest glacier). After getting down from the train we first went to Swiss-sphinx. It was the highest point of the whole place. We went outside onto the observation deck and relished the views. As parts of the observation deck extended past the building, the floor beneath us was made up of metal grates. Looking down, it was making me feel giddy Santanu was bold enough to take me around the whole building. Day was really bright and sunny as if meant for taking pictures so throughout whole trip we took plenty of photos. From there we went to ice palace. 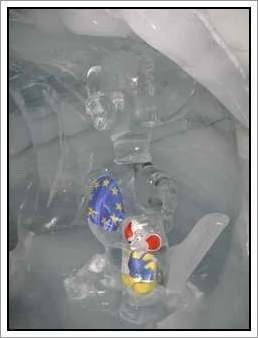 This consisted of basically an underground ice sculpture exhibition. Everything was ice; the ceilings, the walls and even the floors. Something really amazing. From there we went to snow where one can slide or do James Bond stuns on a ropeway. The trip to Mt. Jungfrau will undoubtedly remain among the first things we think back on. What a difference some nice weather made for us that day. After spending few hours we descended via Grindelwald to Interlaken. From Zurich we went to Mt. Rigi via Arth-Goldau a very short train ride. From there we took the cogwheel train to the summit at Rigi-Kulm (1,800m). 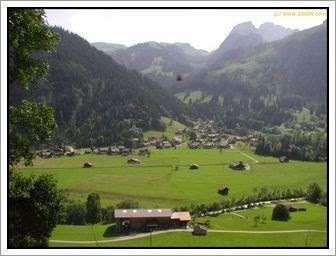 Incredible vistas, typical Swiss farmhouses, and hundreds of cows with bells will surprise one throughout the trip. 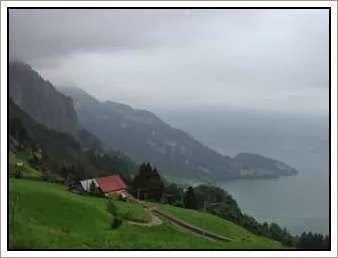 Reward on going to top is magnificent panorama of Alpine peaks crowding around the convoluted contours of Lake Lucerne. While going up it was a nice weather but slowly & slowly it started getting dark. On a clear day it seems one can see Mount Titlis. Perhaps the most glorious hike I’ve enjoyed in Switzerland is from Rigi Kulm to Vitznau. This trail is not listed in the guide map. But we wanted to reach Vitzanu to take ferry to Luzern. As we did not wanted to spent any more money on those special Swiss mountain cog-wheel train. The trail is well defined. I believe most people prefer to hike up but it was just opposite in our case. The first part till Rigi Kaltbad (1438m) is easy. After that, steepness of down hill increased as we came down with a view of Lake Luzern from time to time. 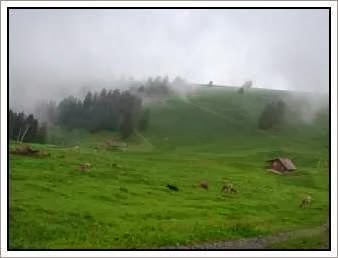 With greenery all around & Swiss cows wearing engraved and embroidered cowbells; the lazy grazing of the placid beasts sends a tinkling melody rippling across the clear mountain air. Serenity all the way far from those hustle –bustle busy life of city is something worth. Lake stretching all the way on one side and while on other is Europe’s greatest mountains. Believe me, now I understand what it means to have hiking poles as at the end of this hike I almost killed two of my legs. After that I lost my normal walking style for next few days. On reaching Vitznau we had our afternoon meal. We boarded a ferry and enjoyed the lovely boat ride to Luzern (one hour). Time at leisure, visited the city’s main sights of the Old Town, like the famous Chapel Bridge which is a main touristy sight of the city. After visiting top sights of the city we returned to Zurich for one last time. Staying at Sachin’s place at Zurich was just to save our 3 night’s hotel expense. After lot of discussion & surfing internet we came to final decision that on 4th day of our trip we will go to Mount Titlis via Luzern in order to make best use of our Swiss flexi pass. On boarding the train from Luzern to Engelberg we realized that it’s more of Desi train. From train station, routes are well marked for heading towards Mount Titlis where one can see all Mr. & Mrs. Desi with family. There are few other Asian visitors also but they were well out numbered… thanks to our Hindi movie director who made our recent heroines dance in the valleys & snows of Switzerland. 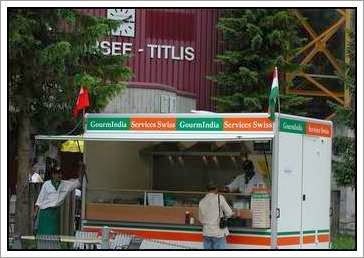 There is even a small Indian take away restaurant at foot of mountain next to the ticket office. Check menu here. The number of Indian visitors has so much effect on Mount Titlis that you will find signs in Hindi along with other international languages and even there is “Indian Specialties” waiting for you at the top. There are three cable cars that take you to the top of Titlis via four sections. The last section is in a world’s first rotating cable car. 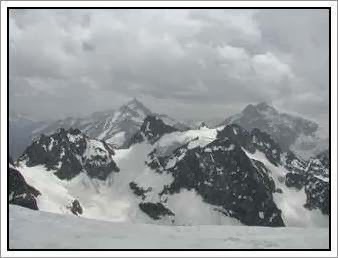 The top is at 10000 ft with glacier all around. We took a ski chair lift (Ice Flyer) to reach Snow Park where one can enjoy snow in the month of June. The weather in the mountains is always unpredictable. It was a sudden change in the weather, while going up it was very sunny with blue sky and later it became dark. After spending an hour it started to drizzle so we thought it might be better idea to come down to Engelberg. We had our “take away” lunch in the center park near to the railway station. On our way back from Engelberg it was a heavy down pour all the way to Luzern. But nothing stops our spirit, on reaching Luzern we strolled around the old town of Luzern. Today we got up very early to take a quick trip of city as we did wanted to go back to snow clad beauty of Switzerland instead of its Mediterranean lake shores. But before having a heavy breakfast, we took a promenade in the park along lake shore where there are lots of open sculptors from Dada movement. After we took funicular ride to Madonna del Sasso. We were determined to take glacier express from Andermatt to St.Moritz today. So, by 9.00 we reached station; Santanu saw a BBC program about Wilhelm Express on TV and was eager to board the same from Locarno till it connects Glacier Express. But due to train schedules we had to take an inter-regional train from Locarno to Goschenen via Bellinzona. Our compartment was vacant with two of us only. That left us to hop from one side to another in order to take photos as the train made turns to gain altitude. Being a standard train the chief advantage is the windows generally can be opened, for cool air and unobstructed views and take picture – with no ghost image. This train actually starts from St.Moritz to Zermatt or vice versa which is of 7 1/2 hr. 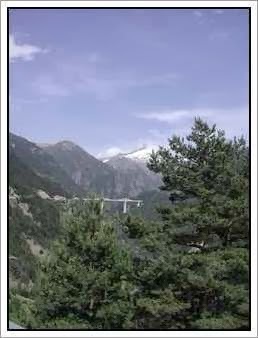 journey across 291 bridges, through 91 tunnels and across the Oberalp Pass at 2033 m altitude. It’s really incredible journey via beautiful landscapes with valleys, glistening mountains & splendid greenery. It’s a train with huge wrap-around windows, allowing you to see through part of the ceiling no wonder why visitor do not complain spending bucks. You never know how alpine panoramas hits right in the face unless you experience it. But, the windows in the panoramic cars generally can't be opened, means photographs usually come with a glare. As soon as we boarded the train, memories from Bollywood movies got refreshed. As there are umpteen of songs featured on this train. Unfortunately, we did not have window seats. And as it was mid-day lots of people were having their lunch at their seat. The dining car was next compartment to ours; we spent a good time there. Glacier express is a very touristy train as people from every corner of the world try to taste Swiss Alpine beauty. We had good conversation with our co-passengers who were Americans staying at Saudi Arabia. On reaching St.Moritz we had a nice meal freshly prepared at Railway restaurant. As staying in the classic alpine resort was out of our budget so it was more economical to board a train for final destination to Zurich via Chur. The train back from St-Moritz was a normal one which was good as that allowed us to take pictures with out glare. The journey from Chur to Zurich was also very scenic as the train runs along two lakes - Lake Walen and Lake Zurich. 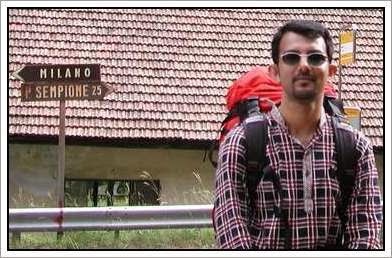 By now, seeing the time I was discussing about hitch hiking to the next big town which was ruled out by Santanu as it seems not safe. Even I was suggesting him how about getting into a car of people who does not look that young and suddenly one car stopped and they asked if we need any lift… looking at their face we did not take a second to decide and say “YES” in unison (which came out as if instinct) with big smiling face. They really looked apostil to us. I & Santanu got squeezed at back of the small car along with our stuffs as the small trunk was already filled up. See…my wish really came out true….taking lift from nice people with grey hairs. They were really so gentle which I can’t express by my words. The lady (Heidi) was more loquacious than her husband. They knew about India well and been there few times so we had lot to talk about. It really made it a more of a wonderful trip. But their first question was “what two Indians are doing at that bus station?” As per initial plan we were supposed to go to the next town on the road Domodossola in Italy and continue from there to Locarno. But soon we came to know that they are also going to Locarno so all the way to Locarno we had nice lively conversation. With few minutes halt at Vigezzo where we had coffee –break at nearby bistro. The main attraction of the village is the church of “Santuario della Madonna del Sangue”. The original church was build around 14th century but then it was expanded later on. Its structure is more like Byzantine one then the gothic which are more common in this part of Europe. On reaching at Locarno they were so much worried for us that they even helped us in looking for a hotel by asking there local friends & dropped us to the same. Really so kind of them to take care of us - a great Swiss hospitality and welcome to strangers. 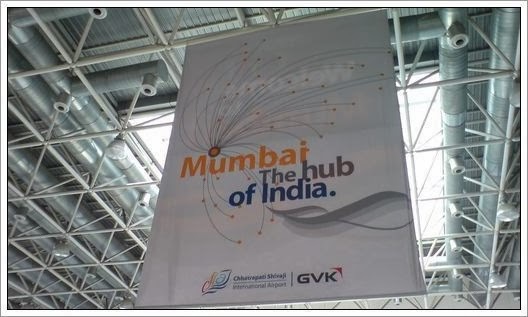 Till we are not sure what would be our next destination for today. The nearest attraction is Montreaux, but that being so close to Lausanne we were discussing to keep it for last day. After taking a hearty breakfast we reached railway station. We asked at the information desk about the Swiss travel pass and Post Bus. Traveling with yellow Swiss post bus system is really breath taking experience as they connect any place in Switzerland which can’t be reached by train. As we had some print out from web sites but none were close to Lausanne. One of the routes that attracted our attention was Napoleon route from Saas Fee to Locarno. But the special tourist post bus operates once a day most of the time and you need to make reservation for the same. After buying Swiss Flexi Pass from the Railway station, boarded a train to Visp. The train journey to Visp was nice as it gave the taste of Alps and its beautiful mountain ranges. The bus trip from Visp to Saas Fee was magnificent. 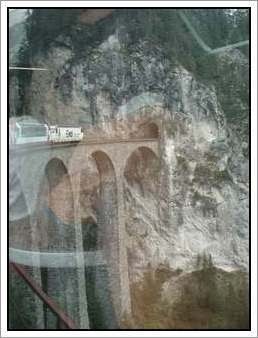 We initially wanted to get the Glacier express today itself but being a special train we could not connect the same. So we spent only 20 minutes at Saas Fee also called pearl of Alps. Saas Fee is a very beautiful car-free resort nestling at foot of glaciers One local young gentleman invited us to little Himalaya of Europe while getting down from the bus. There we had our ‘take away’ lunch. On our way back we continued till Brig by the same bus. From Brig we had two choices – either by a train or bus. Train goes to our next destination in the south of Switzerland via long tunnel while bus takes a longer route through Simplon Pass to some remote village of Italy from where we were to take a train after 2 hours to our today’s destination (Locarno). Well, Santanu insisted on later uncertain one as we would have reached Locarno at 21:30 and we had no hotel booked for that night. No doubt the journey along this pass was breathtaking almost 2005m above sea level. As soon as we reached border station we were only 2 passengers left from the bus and we were transferred to a mini van where we had only one co-passenger. It was quite assuring that someone is going with us as it was already 5:30 PM quite late for a place in absolute no-where. We were told by our co-passenger in broken English and Italian that there will be a bus in next 5 minutes, but that 5 become 25 and we three are waiting for bus. There is no posted time table of the same. We started to realize that we were in Italy from the very systematic and punctual Switzerland. It was quandary that we were in. The last part of today’s journey to Locarno was a very memorable one as we got rescued by two gentle Swiss. In short, trip via road across the most beautiful Alpine passes with spectacular views over the snow covered mountains, through narrow winding valleys, lakes and picturesque villages is something amazing. Alors , trip started on Sunday morning 18th for Lausanne from Paris with out any plan for next 7-8 days to be done in Swiss. 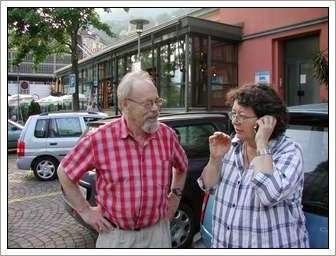 On Friday and Saturday we made few calls to our friends to get an idea about the top attractions in the Switzerland. Santanu got some print out from work MySwitzerland.com about Post Bus. He reluctantly noted one hotel address for Interlaken and booked one B&B for Sunday night around Lausanne. The train journey from Paris was not much event full as Santanu slept most of the time and I enjoyed the French country side while listening to music. Thanks to Santanu for getting the I-Pod while he was snoring mildly. On getting down at railway station we got all the information about top sights to be visited in Lausanne from very helpful tourist office but as it was Sunday the main Railway information center was closed so we could not plan anything for next day. Lausanne being a small city by northern part of Lake Geneva, home of Olympic Museum and Swiss court of Justice. We spent that whole afternoon walking up and down its walkway. Starting our walk along the lake side from Olympic park to Château d'Ouchy. From there we went to Gothic Cathedral via central market after visiting Esplanade de Montbenon. It was bit long walk ascending all the time to the hill top. While descending we realized the B&B that we booked was very far so we asked about hotels in tourist office and they found us some thing nice close to Olympic museum. After having bath we just walked along the lake shore which was very pleasant & relaxing. But the nice evening walk was very short lived as Santanu realized he does not have his wallet with him for which we had to make a sudden U-turn and walk fast back to hotel. Thank God it was such a relief to find it lying on the bed. We ended up having dinner in nearby lakeside restaurant.